Creating content for airlines, a Chinese naval fighter emerges, strong airline passenger demand, record Boeing and Airbus deliveries, United flight attendants file OSHA complaint, the world’s safest airlines, and on-time performance at airports. Al St. Germain is Senior Vice President, USA for Spafax, one of the leading inflight entertainment providers in the world. Spafax provides content for over 30 different airlines, overseeing licensing, programming, fulfillment and technical services. In addition to that role, Al serves as publisher of APEX Experience, the official media platform for the Airline Passenger Experience Association, one of the industry’s leading trade groups. Prior to Spafax, Al worked at both Delta and United in roles ranging from brand management to product development. At United, he worked particularly closely with the Onboard Services Group. Al started his career at noted branding firm Landor Associates, where he managed design projects ranging from airline liveries to airport counters to snack bags, all for Delta Air Lines. Al was also part of the original team that came up with Delta Song. 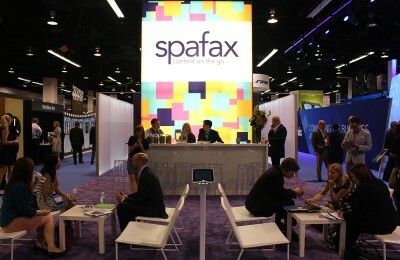 Visit Spafax.com and follow them on Twitter at @Spafax. Al tweets at @alstg. 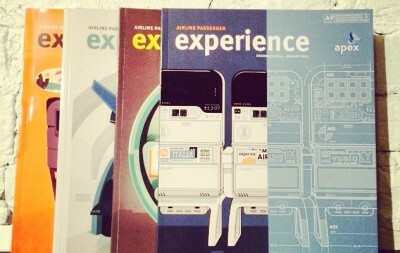 Find the APEX Experience blog at blog.apex.aero and on Twitter at @theAPEXassoc. The Chinese naval fighter Shenyang J-15 Flying Shark is operational. This carrier jet is believed to be based on the Soviet-designed Sukhoi Su-33. IATA released the latest air passenger numbers, and they look good. RPK (revenue passenger kilometers) is up 6.0% over November 2013. November capacity up 5.4% and load factor up to 76.7%. All this is mostly driven by growth in domestic markets, particularly in China and India. Boeing and Airbus both set records for airplane deliveries in 2014. Boeing delivered 723 commercial airplanes, a company record. Airbus is reported to have broken their record also, but the official statement isn’t out. In 2014, Boeing booked 1,432 orders worth $232.7B at list price. Boeing’s commercial order book shows 5,789 airplanes at year-end, a company high. In July 2014, someone drew in the oil film on one of the engines of a United flight scheduled from San Francisco to Hong Kong. Thirteen flight attendants saw that as a threat, refused to fly, and were subsequently fired for insubordination. Now they want to be rehired and filed a whistleblower complaint with OSHA, the Occupational Safety and Health Administration, under the Wendell H. Ford Aviation Investment and Reform Act for the 21st Century, which protects employees from retaliation for opposing violation of air-safety or air-security standards. Safety and product rating review website Airline Ratings.com has announced its top ten safest airlines, and also its top ten safest low cost airlines. Aviation Intelligence company OAG announced their on time performance ratings in their Punctuality League 2014 report. Captain Jack Curtis. 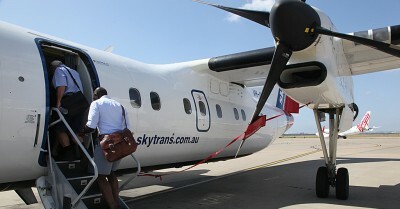 Photo from Aero Australia Magazine. 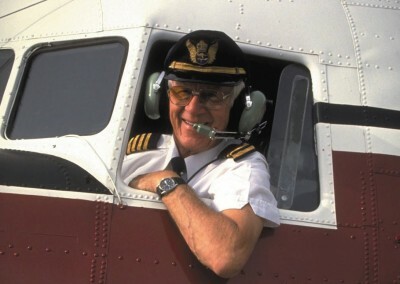 The boys received the sad news of the passing of Captain Jack Curtis, an icon in the aviation scene down under, particularly in relation to DC-3s. In this week’s segment, they give us an interview Grant recorded with Jack in November 2013. He was a great pilot and a top bloke. Blue skies, Jack! Report 3 by Juan Fernandez from McMurdo Bay in Antarctica. Listener Vic was inspired to send us the link to a video of a DC-3 rescue in Antarctica. Visit AirplaneGeeks.com/ice for more information and great photos. Skytrans post at Jetspotter.com with lots of photos. 787 Does a Nose Stand – A rather unique video. Strike Fighter Ball 2014 – A look back at 2014 from the F/A-18 Hornet squadrons of Strike Fighter Wing Atlantic. This entry was posted in Episodes and tagged Boeing, China, Flight Attendant, IATA, inflight entertainment, J-15, RPK, safety on January 14, 2015 by maxflight.